Fifteen minute pen and ink sketch of the cathedral, with greys added with Tombow brush marker. Thanks for your company today. 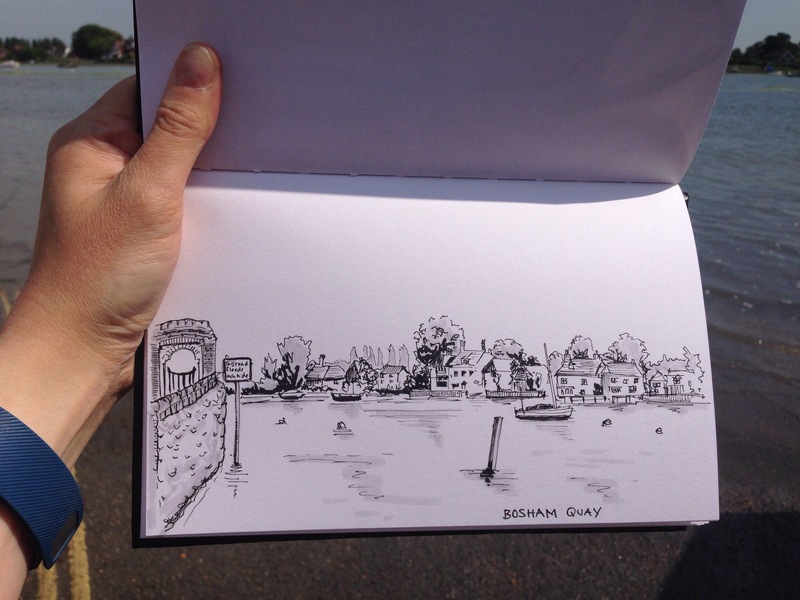 You had a profitable sketching session. I really enjoyed Chichester cathedral and the Pallant Gallery. I need to work on finishing my haikus, though, as I came away with them in a half completed state. Luckily, there was no shortage of ideas. Thank you Rat, I had a lovely day and it was great to see you. I look forward to seeing the haikus! 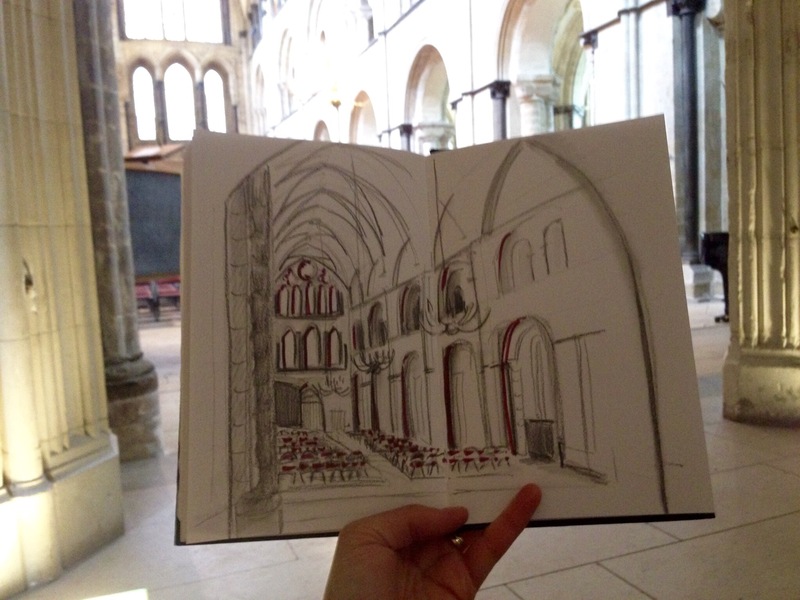 I love the drawings of the cathedral. The tiny chairs all huddled together in the space, there is something about they way they look that is very human – small creatures in a lofty space. I like how you did that. And the video is pretty funny (since it’s not happening to me) and I like it even more that the man felt it worth filming as a chronicle of all the cars this has happened to! Great video! 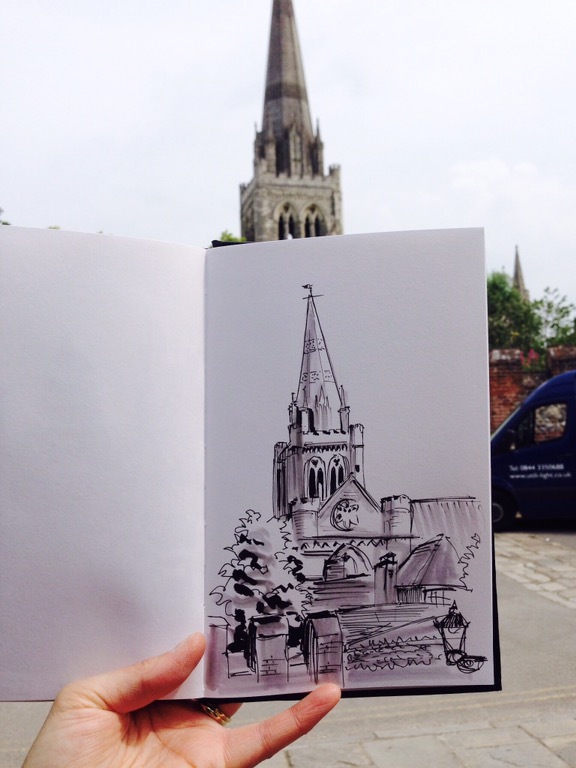 The pen and ink sketch of the cathedral’s exterior is my favourite! I can’t believe that you work so quickly. I used to go on holiday near Chichester almost every year as a child.